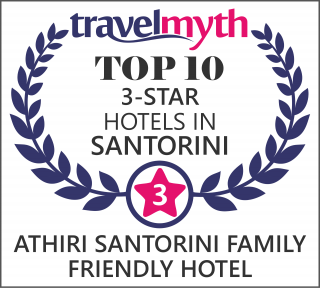 Welcome at Athiri Santorini Family Friendly Hotel. Athiri is a brand new Hotel in Santorini, offering accommodation and hospitality mainly to families and parents travelling with children. Αthiri can also accommodate small groups or individual travelers!!! Copyright © 2014, Athiri Santorini.gr, All rights reserved.